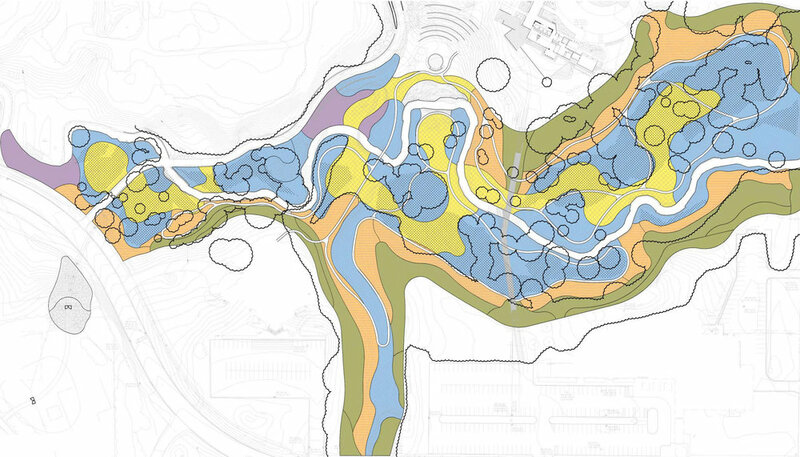 The Landscape Architects have worked with the Whiting Forest of Dow Gardens to address the destruction of an ash forest canopy from the emerald ash borer and look at this as an opportunity to connect people to plants, water and wildlife. 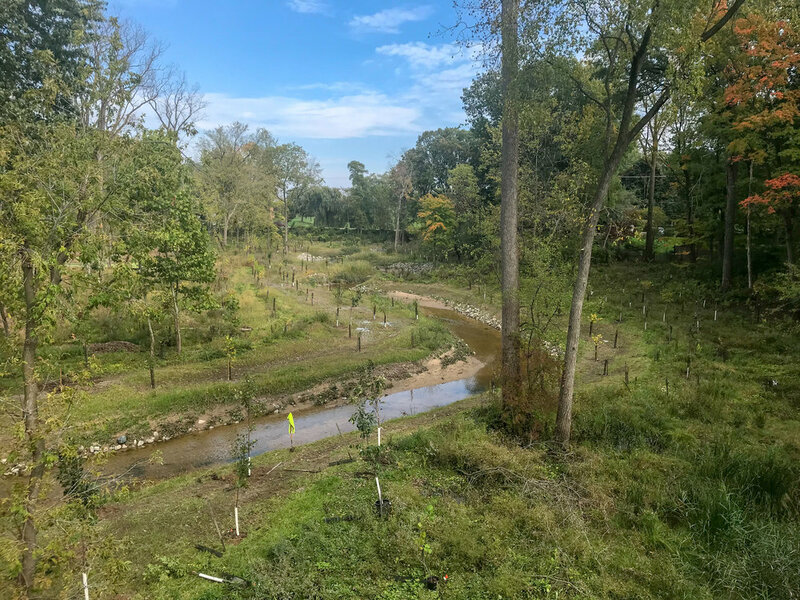 New diverse, resilient plantings, including 19 different species of canopy tree native to Michigan, will help strengthen local wildlife and insect communities and will in turn improve the regional ecology. Along with the decimated canopy, the severely eroded stream has been stabilized and its banks benched to mitigate flooding and allow water access. Master planning also included the design of two bridges to improve circulation from different garden areas. Visitors are now able to explore new wet meadows, floodplain forests, tamarack stands, maple-beech forests, and oak-mixed hardwood forests as they traverse the restored stream corridor.